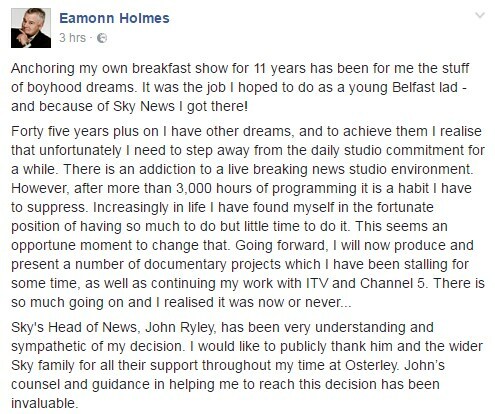 Eamonn Holmes, 56 has announced his decision to leave Sky News after 11 years of service. The Belfast-born presenter tweeted his news to fans this morning and has came as quite a shock. Eamonn explained he would like to produce and present a series of documentaries. 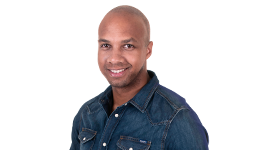 He expressed his sadness about the decision commenting, "Finally, I cannot stress how hard it is saying goodbye to such a programme and the friends and colleagues who I have met over the years because of it - but nothing stays the same - nor should it." His last day on Sky News will be 13th October 2016. We wish him the very best of luck and look forward to seeing him again on the TV screen.